Not So Plain Jayne: Hey there summer boy. I took these photos a fair few weeks ago in one of my many attempts to start my blog. Unfortunately since then the weather has turned a bit on the miserable side now here in England - however for any of you lucky devils who are still awaiting your holidays I think this outfit would be perfect for a walk along the beach. 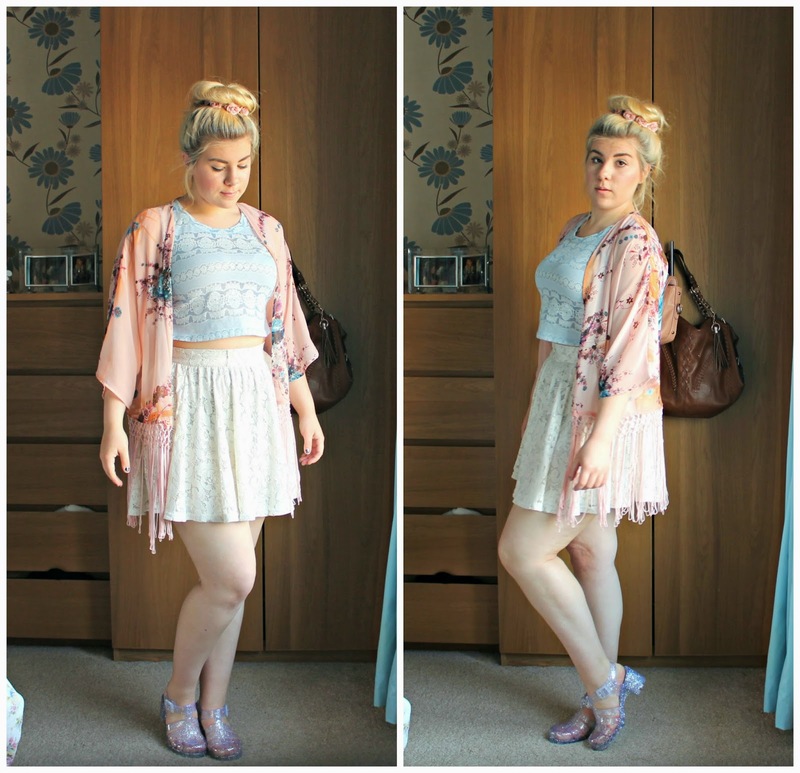 It's no secret that the Kimono has been one of this summers biggest trends - and why not? A lighter and more breathable altenative to a hoodie which gives off the laid back summer vibes. It's ticking all the boxes for me! 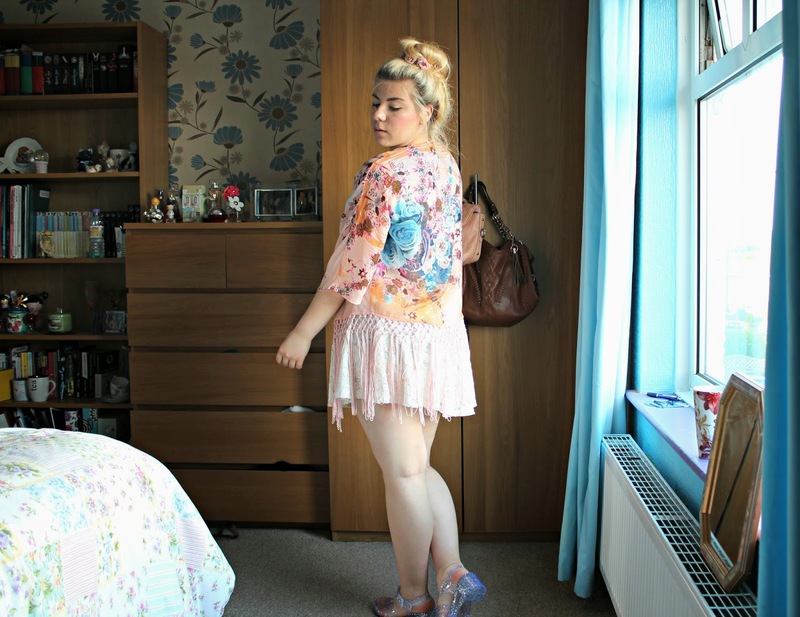 I'm honestly so obsessed with this Kimono right now. I bought it a couple of months back from New Look. I was really drawn to the subtle peachy orange colour which I feel is perfect for summer. However the part that really sold it to me was the bold floral design on the back. The vibrancy of the blue makes a nice colour pop and fits in nicely with the rest of my wardrobe. Needless to say it's become a firm staple in my summer wardrobe! 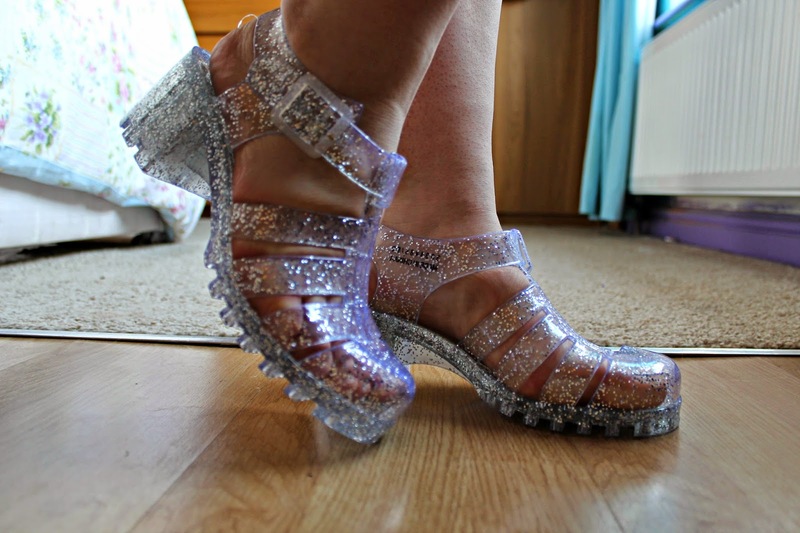 When I first heard that Jelly shoes were back in fashion I have to admit I was a little hesitant - All I could think of was the memories of my 5 year old self - determined not to put them on. However I couldn't resist the 90's nostagia and bought myself a pair. In fairness I think they're very much a 'Marmite' sort of thing. You love them or you hate them. Most of my flatmates seemed to have a deep hatred for these shiny bad boys - but I love them! My only niggle with them is that as a person with rather wide feet they tend to rub a bit on the edges - meaning walking for long periods of time is a big no no. All in all these are a fabulously cute little addition to my shoe collection.